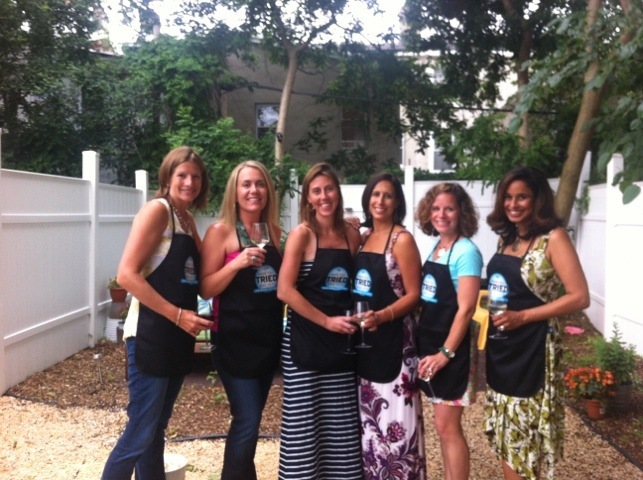 I just had to share some of these fun photos from my Girls Night Out on Monday night. 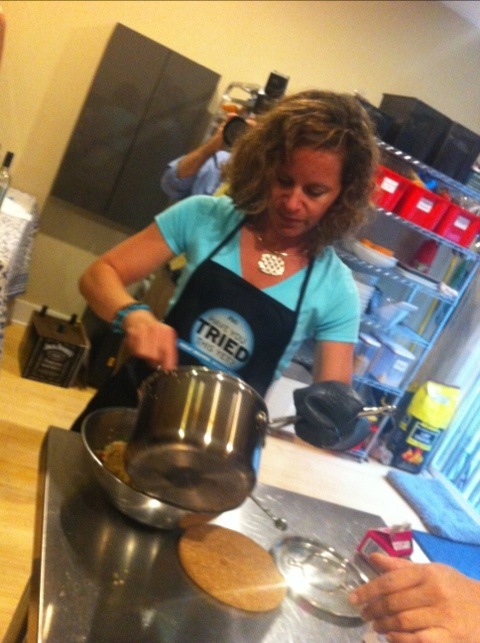 P&G took me and 5 girlfriends to downtown Center City for a cooking class with Christina, the chef behind Clean Your Plate. 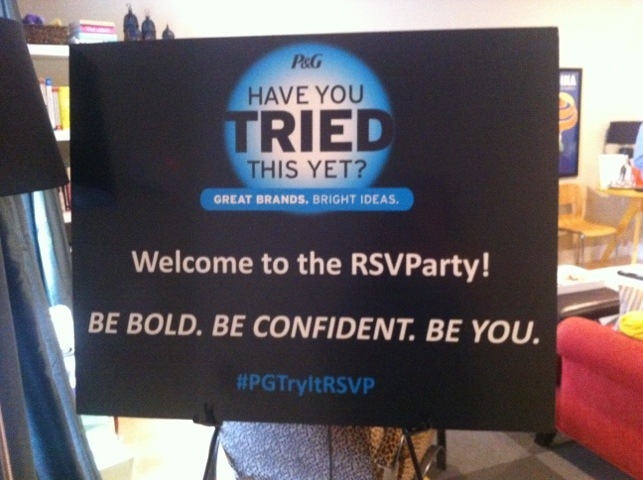 But before I dive into the photos, I’m also hosting a #PGTryItRSVP Twitter Party tonight in conjunction with this event! You can read all the details on that link – I’ll be giving away 10 prize boxes and I’ll be on from 9-10 pm EST so come and join me! 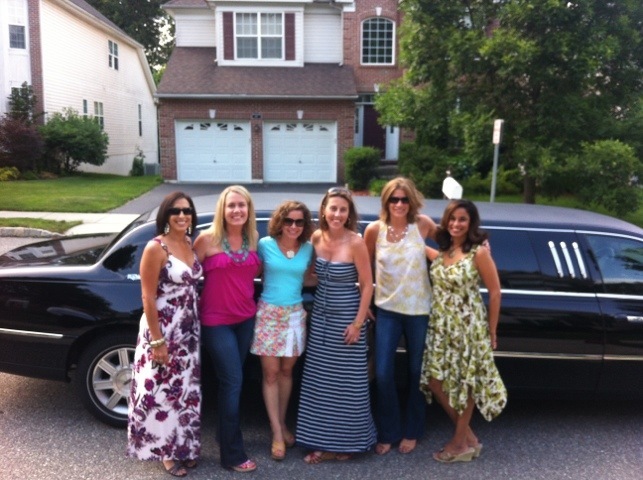 Here we are right before we got into the limo to ride downtown. Talk about riding in style! 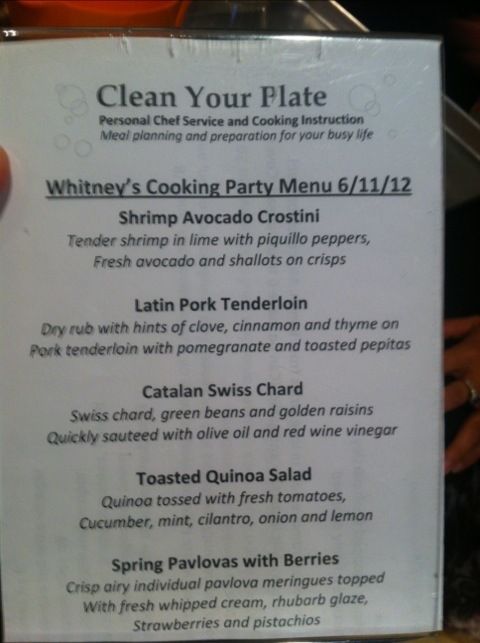 This was the menu for the evening – we made all of this! 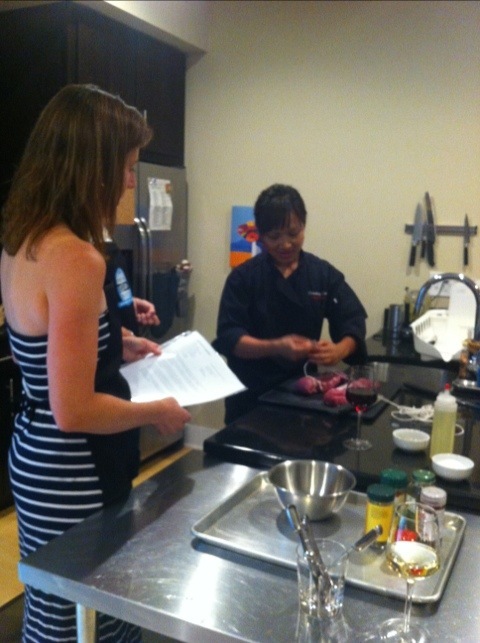 Here’s Christina showing us how to tie the pork. I’m telling you guys, her pork was tied much more nicely than ours! It was definitely good for a few laughs! 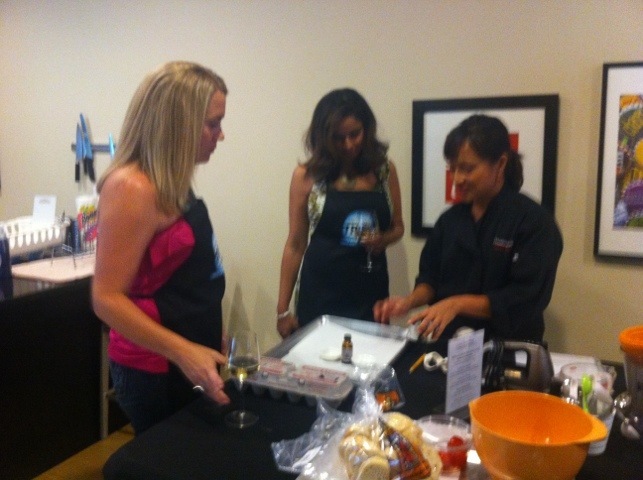 Stefanie and Zareen make the Shrimp Crostinis – these were delicious too! 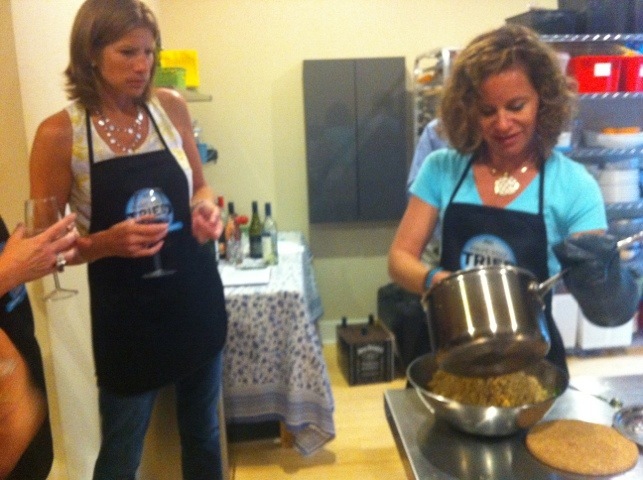 I don’t even know what Julie’s doing here – mixing the Quinoa salad maybe? It takes many people to mix a Quinoa salad. Group shot from Christina’s backyard. Yay, we cooked! Thanks so much to P&G for sponsoring a fun-filled evening – it’s one I won’t forget for a long time! PS – Oh and I had to share this one too. Right before we left the kids were so excited about the limo and wanted to check it out. Here are my boys with my friend Cindy’s kids checking the limo out right before we left. They thought it was the best thing since sliced bread! 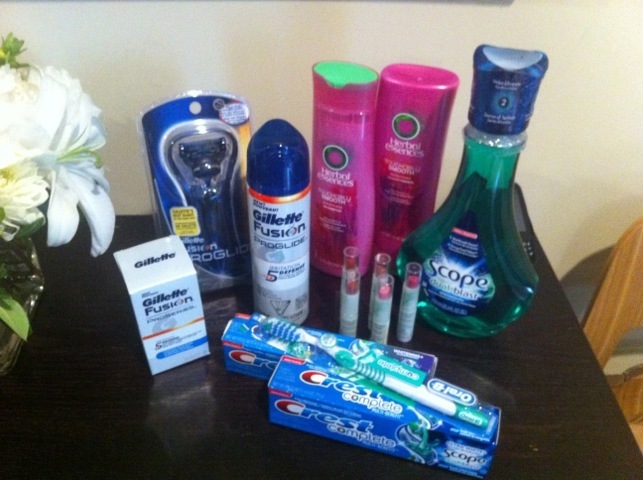 « Join Me TONITE 4 #PGTryItRSVP Twitter Party 9 pmEST, P&G Prizes! 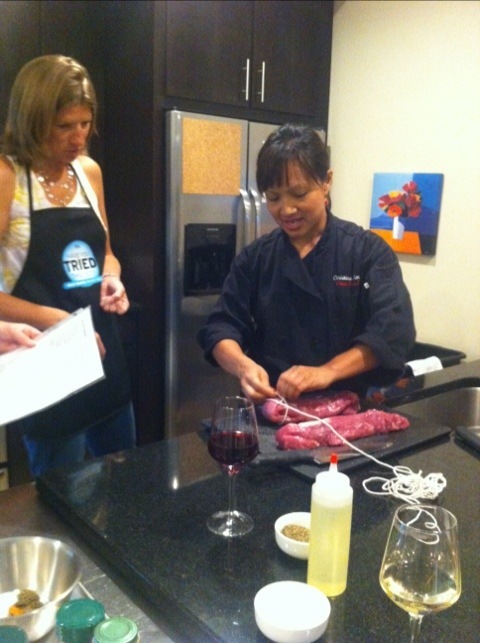 what a terrifc time you must have all had- looks like so much fun- everything looks delish too! What a fun time you must have had. And wasn’t that nice of P&G to send you to the class!!! /wow, just a tiny bit gives you lots of lather!!! Have also started making quinoa and couscous salads for lunch. So easy to do and what a great base for all those great summer berries, a little olive oil, salt and pepper aand VOILA!!! 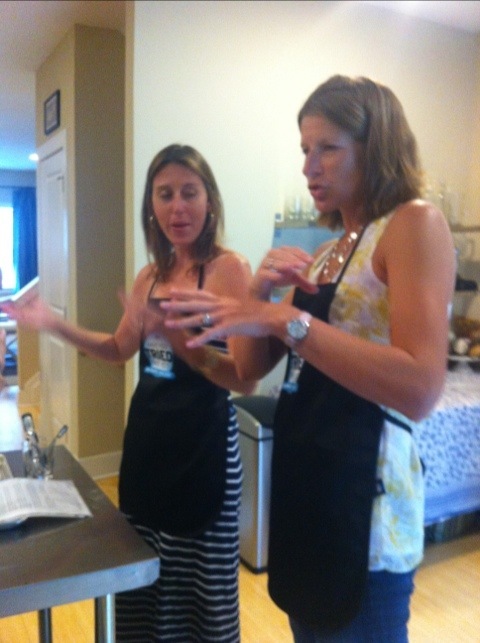 Aunt Brenda, I definitely plan on cooking with Quinoa from now on! Very easy! 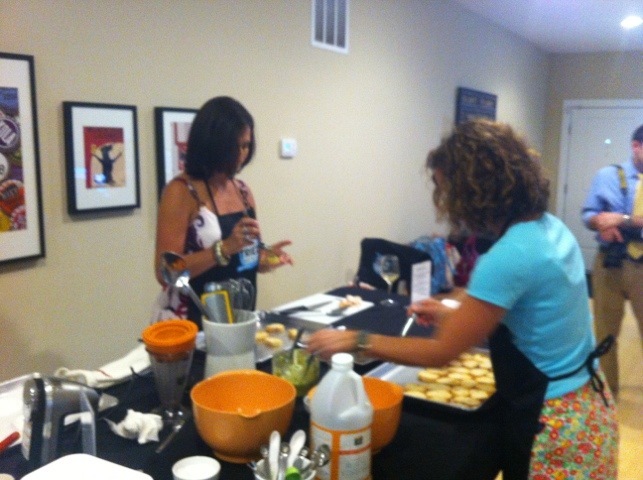 We toasted it first and then mixed in a bunch of goodies… loved it.